We’ve seen some big and important announcements from Peugeot 2012. 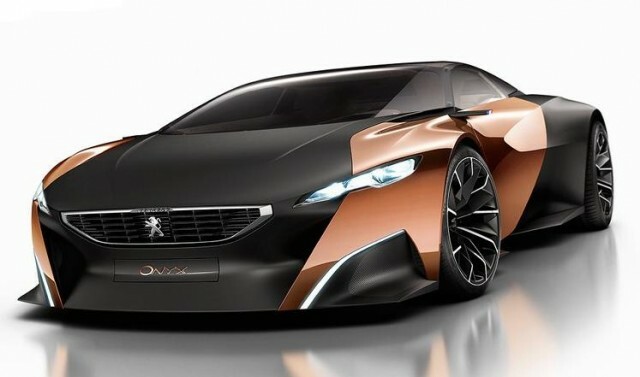 Firstly, their Onyx concept car. The amazing car made use of unprocessed materials in new ways. This breaks down into a body has been hand-finished using pure copper sheet metal, and because it’s untreated, the finish will change over the course of time, giving it a new look. The bodywork panels are made from carbon fibre. The windows and the roof are made from PolyMethylMethAcrylate (PMMA) Shatter resistant plastic to you and I. Carbon chassis and carbon fibre flooring. The interior is constructed from compressed and stretched felt and the dash is made from wood produced from recycled newspapers. All in all the entire car weights just 1,100kg.